One of the killers of traveling is jet lag. You get super excited about traveling to your dream destination, only to get slapped with a case of the cranky’s as soon as you touch down. You want to explore but your body is pleading with you to take a small nap. Then you give in, take that small nap and next thing you know you’re wide awake at 3am because your body is not used to the time difference. Well my dear reader, let me tell you, shockingly enough there are ways to avoid jet lag and to train your body so that it easily adapts to a new time zone. If you trust me and follow these few steps, you too will be ready to go out and paint the town red no matter how exhausted your body may be. If you can, absolutely book an overnight flight. By flying at night you can sleep as you normally would and therefore, keeping your body right on track. ALTHOUGH, there are some people like myself who are just so damn excited it doesn’t matter that it’s 12am and your body wants to sleep. Rest assure, if that is the case, take my little tip and bring a bag of chamomile tea. Ask a stewardess for a cup of hot water and after a big glass of tea you’ll be annoyingly snoring next to your fellow passenger in no time! This is one I struggle with all of the time even though I know about the negative effects. But even though I have a nasty habit of not following through with this one that is no reason why you should follow in my footsteps. One of those do as I say, not as I do type things. But please please please when travelling drink lots and lots and lots of water. I know what some of you are thinking “Alright I’m going on vacation I’m going to down some nips and then take a shot and shotgun a beer when I get there”. Now all that certainly sounds awesome but all that booze won’t keep your body hydrated. Not keeping your body hydrated is a one way ticket to a bad time. One of the worst side effects of not drinking enough water is getting a massive headache. This headache can put you down for the count for quite some time and who wants that when they’re somewhere new. Then there’s the light headed and dizzy feelings and all that sounds terrible, so do yourself a favor and drink some damn water. I love snacks all the time, I mean let’s be serious, who doesn’t? But it is especially important to bring some snacks with you for the plane. I flew Icelandair for the first time and luckily I noticed on their website a couple of days earlier that they don’t give you anything on the plane. I’m talking no meal, no peanuts, no chips NOTHING. But hey, that’s what I get for booking a super cheap flight through them. But luckily I packed a bunch of snacks to keep me going. My personal favorites you may ask? Well LET ME TELL YOU, my absolute favorite is Mamma Chia Vitality Packs. These little jems are super compact, and chock full of antioxidants and nutrients that will pick you right back up when your body is feeling a little down. Not to mention they are delicious! I’m also a big fan of almonds only because not only are they delicious but they are the BEST remedy for heartburn (which is unfortunately quite frequent for me). You want to stay clear of snacks that will weigh you down. As tempting as chips and cookies may seem they really won’t keep your body in the right mindset for a long day of activities. But I will never say that some candy is a bad idea because I have THE biggest sweet tooth. Gummy worms are the best when eaten after a long day exploring. Let me paint you a picture, you’ve been flying all day, dealt with a connector, a seat on the airplane that was extremely uncomfortable, the weight of your luggage is realllllly becoming apparent, you get to your bed for the night, what do you want to do? The easy answer would be take a nap, obviously. 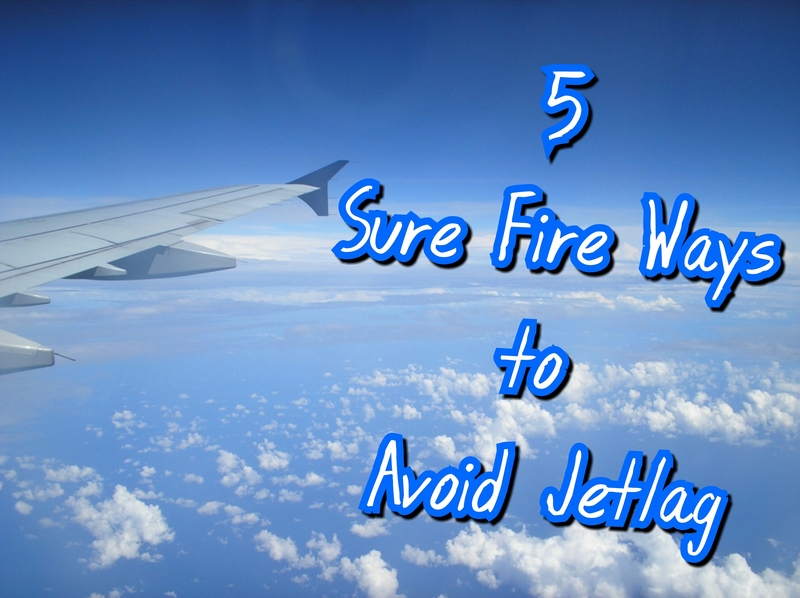 However, this is an article on how to AVOID jet lag and taking a nap after your long flight is exactly what should be avoided. Instead, check out some things that you can do in the area that you’re heading to. If you have a kindle or a tablet that lets you link your amazon account to it, you can buy guidebooks and have them electronically. Even better, if you splurge and sign up for kindle unlimited then you can rent up to 10 books at a time from Amazon. This is perfect for me because I can load up my kindle with some lonely planet guidebooks for whatever area I’m going to and then return them once I leave. This takes the weight of a book off of my back and gives me some great ideas on what to do in a new area. But enough of that, the reason I suggest finding something you may want to do in your destination is because then you have an incentive. By creating an incentive, you can avoid the urge to justify a quick nap. For instance, I knew that once I got to Amsterdam I wanted to check out the famous “coffee shops”. Man I’ll tell you, I barely got my bags on the ground before I was right back out that door and ready to go seek out some goodies. But having that incentive and a general plan was my motivator and really helped even though I was exhausted. You HAVE keep moving. You really do, and it may seem hard at times, it may seem impossible to make it to the night time but trust me, DO IT. Go venture out, grab a beer at a café and people watch, check out a local market and cook yourself a dinner, or find a new friend. Just do something, anything to avoid you from realizing how tired you are. You usually don’t have a lot of time whenever you travel so utilize that time to its full potential. I hope these tips will get you through until the nighttime in your new destination. If you make it through the day, your bed will feel like a pillow of clouds when you lay in it. Then a full night’s rest will feel better than any nap you could have taken. Safe travels guys!